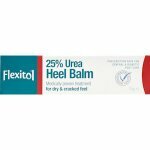 Flexitol Moisturising Foot Cream is enriched with Vitamin E, and contains 10% Urea, in a rich and highly concentrated base, to soften and hydrate very dry skin. 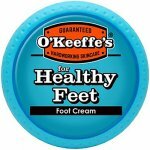 This gentle, rapidly absorbed formula, is suitable for use by those prone to very dry feet and legs. 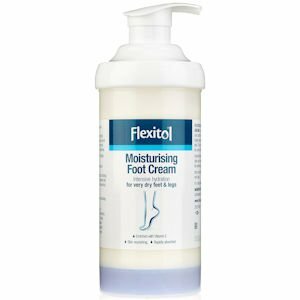 Flexitol Moisturising Foot Cream keeps skin smooth, silky and intensely nourished, helping to restore skin to its natural appearance. 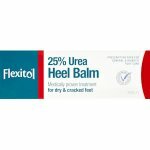 Use as part of your daily routine to hydrate very dry feet and legs. Apply two to three times a day as necessary. 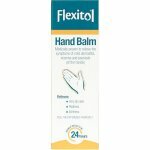 Do not use if the skin is badly cracked, inflamed or bleeding. 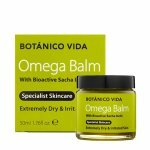 Stop using this product if you develop redness or itching. Do not use if tube seal is broken or appears tampered with. Aqua, Glyceryl Stearate, Urea, Decyl Oleate, Lanolin, Propylene Glycol, Cetyl Alcohol, Ceteareth-12, Ceteth-20, Dimethicone, Lactic Acid, Phenoxyethanol, Benzyl Alcohol, Triethanolamine, Parfum, Tocopheryl Acetate, Carbomer, Butylated Hydroxyanisole, Butylated Hydroxytoluene, Propyl Gallate, Citric Acid.